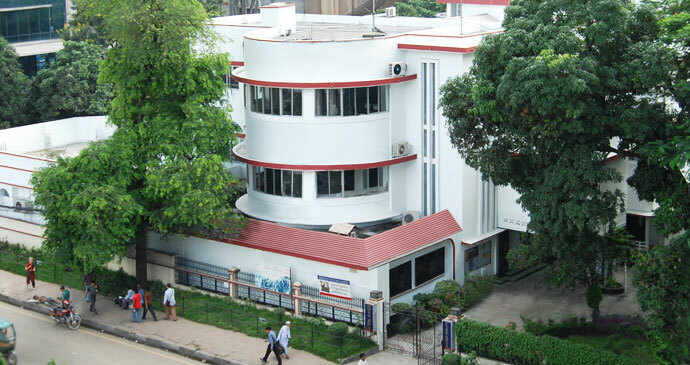 Alliance Française de Dhaka, a nonprofit organization has been working in Bangladesh since 1959. Located in the very heart of the capital, the Alliance Française de Dhaka is in Dhanmondi, also the heart of the cultural and artistic activities in Bangladesh. Alliance Française de Dhaka is sometimes referred as the French Cultural Center. Our main function is to promote the French culture, especially the French language to the local people and at the same time to promote the local culture in France. It is run by an executive committee formed by some local elites who are enthusiast of the French culture. Here you will learn French under exceptional conditions: uncontested teaching quality, modern teaching methods, multimedia resource center , exhibition gallery, new auditorium, café and many other services. Our courses in French as a foreign language are conform to the CEFR and are offered for each level. As of 2012, AFD has two branches: in Uttara and Gulshan. Every year more than 6000 students learn French at Alliance Française de Dhaka, about 2500 students enroll for the workshop courses; and thousands of art lovers and enthusiasts visit for the versatile cultural activities.